"I've worked so hard to be perfect, and it still wasn't enough." 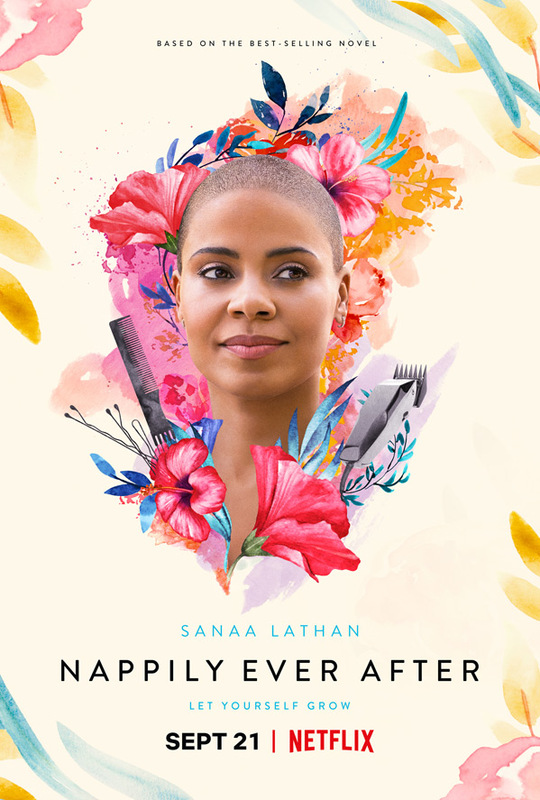 Netflix has debuted the first official trailer for an indie romantic drama titled Nappily Ever After, the latest film from director Haifaa Al-Mansour (of Wadjda, who also made the film Mary Shelley released earlier this year). Nappily Ever After, adapted from a book, is about a woman who breaks up with her boyfriend after years of waiting for him to propose. "But old feelings, and heaps of jealousy, no doubt, arise when he promptly begins dating another woman." Sanaa Lathan stars as Violet Jones, and also produced the film. The cast also includes Ricky Whittle, Lyriq Bent, Ernie Hudson, Catherine Dyer, and Lynn Whitfield. The film seems to be all about her becoming a new person after moving on from her hair obsession, and I think it's actually an intriguing story. Violet Jones (Lathan) has a seemingly perfect life — a high-powered job, an eligible doctor boyfriend and a meticulously maintained, flawless coiffure. But after a life-changing event doesn’t go according to her plan, and a hair-raising incident at the hairdresser, her life begins to unravel. Eventually, Violet realizes that she was living the life she thought she was supposed to live, not the one she really wanted. Nappily Ever After is directed by highly acclaimed Saudi Arabian filmmaker Haifaa Al-Mansour, director of the films Mary Shelley and Wadjda previously, and the short doc Women Without Shadows. The screenplay is written by Adam Brooks and Gina Prince-Bythewood; based on the novel Nappily Ever After by Trisha R. Thomas. Netflix will release Nappily Ever After streaming exclusively starting on September 21st this fall.